Although BFA Pet Battles content is still a Work In Progress, some new faces popped up in the Pet Journal. Here's a preview of a few found in the journal. Some have additional color variations but it's unknown if they will all be available to collect. There is also an adorable ferret pet, Poda (pictured right)! This cute critter comes in three other colors, however only the dark grey version is currently available. 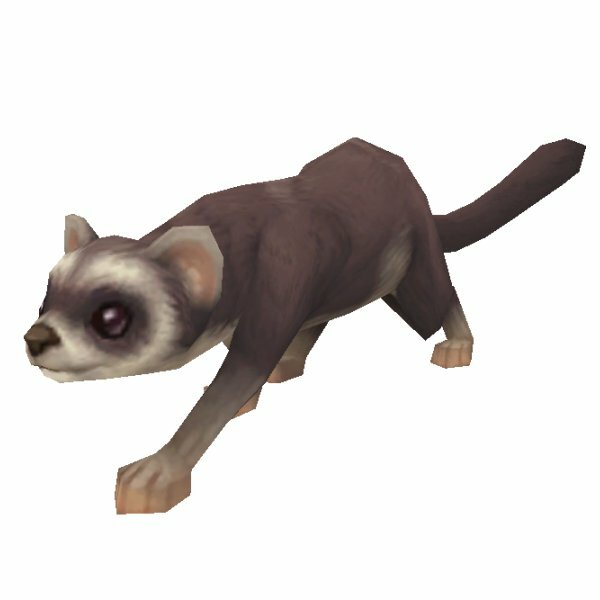 Check out all BFA datamined pets! 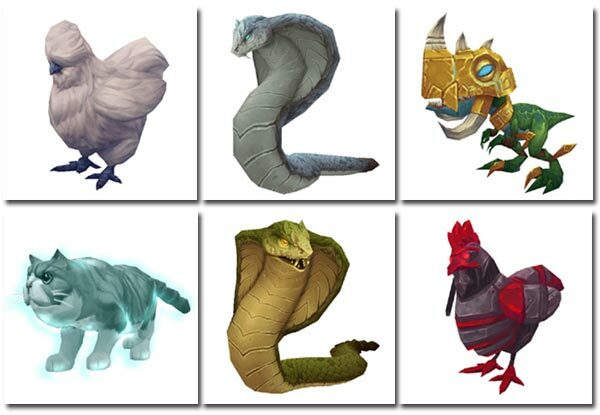 Keep in mind that none of these pets are guaranteed to make it into the final version of the expansion, and some models and colors might never be collectible. We can only hope that we'll have a chance to obtain them all at some point. Tired of moths? Good news! 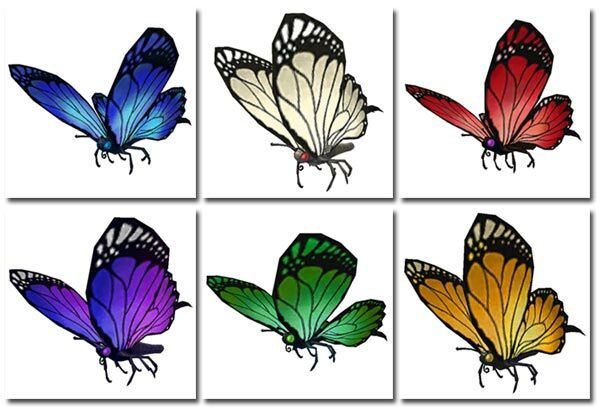 A lovely butterfly model with six different colors (pictured above) was added in the recent alpha patch. 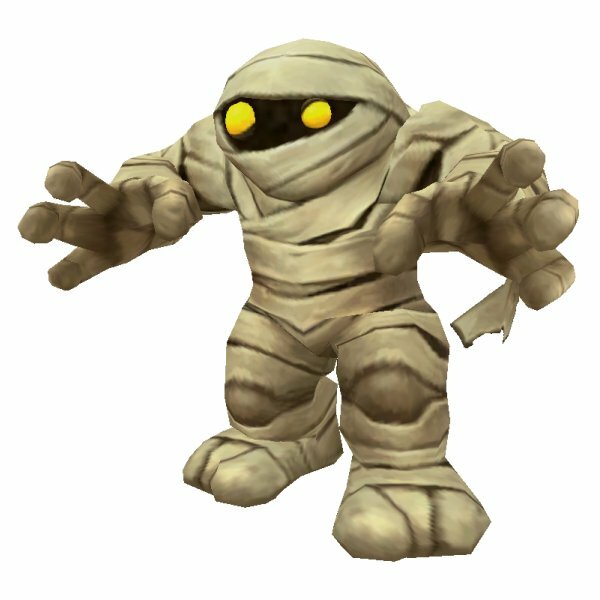 And last but not least, a cute mummy (pictured right) was datamined. It's unclear if these new models will be collectible. Who wouldn't want beautifully colored butterflies and an adorable mummy companion though? Really disapointed in the ferret, using the cat model just makes it look a weird looking cat. not to mention the body proportions are completly wrong. I've been wanting for a long time (as have many others) so i can have my little ferret immortalized in WoW and continue adeventuring with me. Just hope they will fix it later. Okay I am running around Warbeast Kraal in Alpha and there is a cute critter around here called a Warbeast Gekkota if you come here you will see it. I hope this is a future pet! Why in the world did they use the cat skeleton for the ferret when they have a perfectly good otter? Omg look at these butterflies! @_@ I've been wanting butterflies for a while now, can't wait! They are wonderful. Im still waiting for a Duck. Wabbit season is over. Its Duck Season!! Ive been asking for years. Omg, I must have the ferret!! So nice to have a completely new animal. Butterflies!! Yess!! Love the Mummy pet, too. Lookin’ awesome! Ahhhhh silkie chickens and Monarch butterfly pets! Ohmygawd so cute! Ducks.... Where are the ducks??? ?